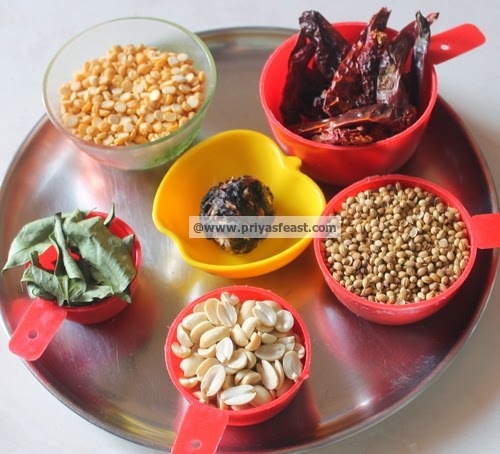 Making a rice dish and sundal(lentils) is a must during navarathri days...All the nine days are very auspicious and if you are looking for a recipe that doesnt tie you up in kitchen,this is the podi all you need to make.The podi can be made much earlier and the puliyodarai rice can be done in less time with less amount of oil and no citric acid nor preservatives.Enjoy! 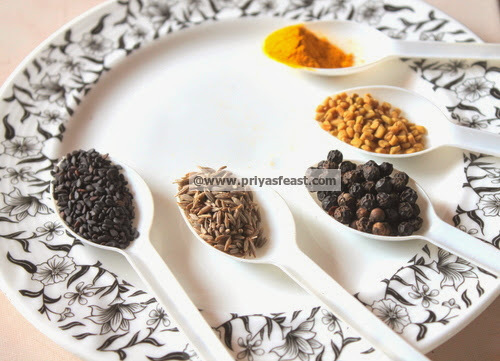 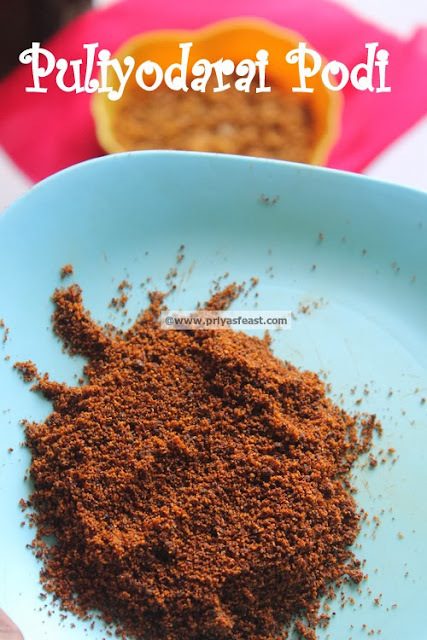 Allow the spices to cool completely and grind them into fine powder as much it could be and dont allow the blender to heat up the spices. 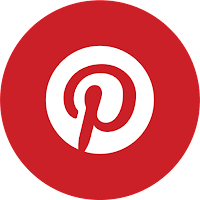 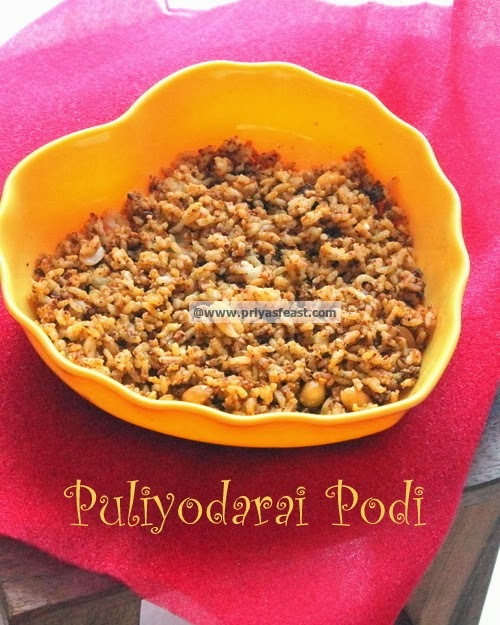 Fantastic podi, a must try..